Get interesting ideas to throw amazing house parties, birthday parties, and organize other special events. Planning your child’s birthday party or event can be a little overwhelming. Don’t get us wrong, it should definitely be a fun, creative process! However, once you have selected a theme and get down to the nitty-gritty of planning the logistics, you may find yourself stressing over lack of time and money to make your event one that partygoers will continue to talk about after the fact. But don’t worry, we’ve got you covered! Let Rentzeal help by listing out rentable party essentials and must-haves to make your little one’s party the BEST. DAY. EVER. 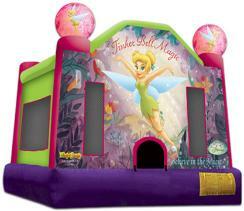 Bounce houses are a simple, and better yet affordable, way to dress up any child’s party, no matter what the theme is. Bouncers provide for hours of fun and interactive play for kids, while giving parents peace of mind knowing their child is safe within a padded area. Not to mention, the convenience of having a professional drop off and install a bouncer will take stress away from you. To safeguard kids' health, make sure that you look for a bounce house that is 'Lead Free' and sanitized with a biodegradable sanitizer before it is delivered to you. Food… need we say more?! 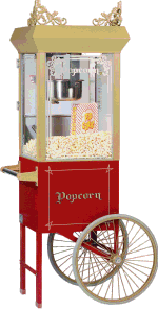 Rentable food machines are sure to be a hit at your next event. Kids and adults alike will definitely love being able to make their own Cotton Candy, while also filling up their Popcorn bags with the most fresh and buttery kernels. Still want more? We also offer a Snow Cone machine for those hot summer days. To maximize the fun we can also provide you with a server who operate the machine for the entire duration of the party - professionally trained, smartly dressed and helpful with a pleasing personality. No party is complete without games for your little ones. Nothing is more exciting for kids than winning a prize and feeling special. With that being said, rentable party games make for a great source of entertainment at your event. The games can easily be set up and stationed throughout the landscape of your event, making the party look bigger and more complete. 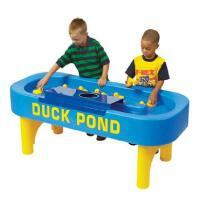 Choose from Ring Toss, Tic Tac Toe, or our interactive Duck Pond game as your go-to options for partygoers to enjoy. Every little one is going to want their very own seat to enjoy that delicious slice of birthday cake or to take a little break from all of the excitement the day has to offer. Rentzeal offers a colorful and fun variety of kid’s party chairs to set up at your event. This includes red, blue and yellow. We even offer highchairs and booster seats for toddlers. If you choose to book chairs then you will definitely want to book a few tables as well. Select a 6-foot kids table, which easily seats up to ten little ones. Let them gather around and mingle while they eat lunch and chill. By adding in a few of the inflatable options, food machine ideas, and seating selections above, your event will definitely come together for all to enjoy. Now that you’ve read up on some of our rentable options to help make your child’s party eventful, let’s work together. Click here to book. Happy party planning!